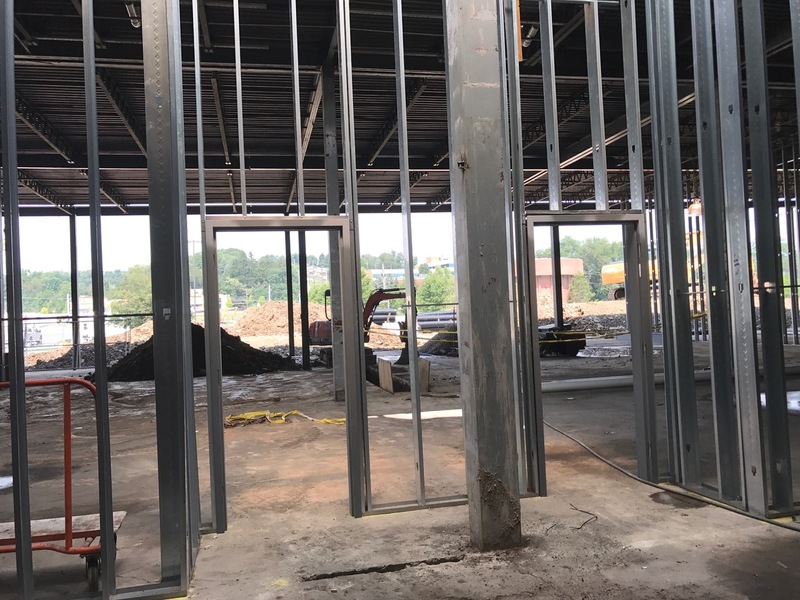 Our Penn Center East project is coming along nicely! This 160,000 square foot former Sears building, which was originally built in 1964, is undergoing a transformation. 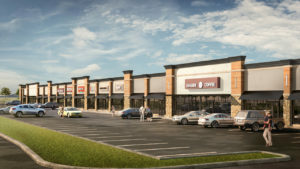 The building will be known as Penn Center East complex and will offer a combination of retail and self-storage spaces. We have paired with CJL Engineering, CEC Engineering and AES Engineering for this project. The demolition has now been completed, and steel infills and interior stud framing are in process. In addition, the utilities are now being installed. 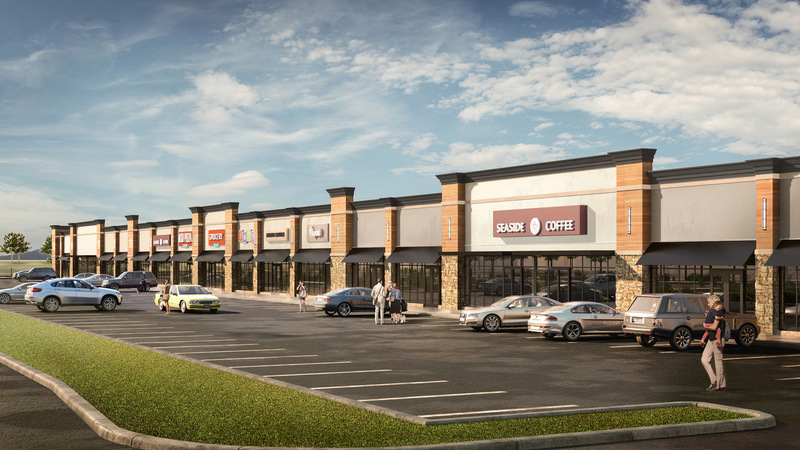 Have a peek at the progress, and our final vision rendering. 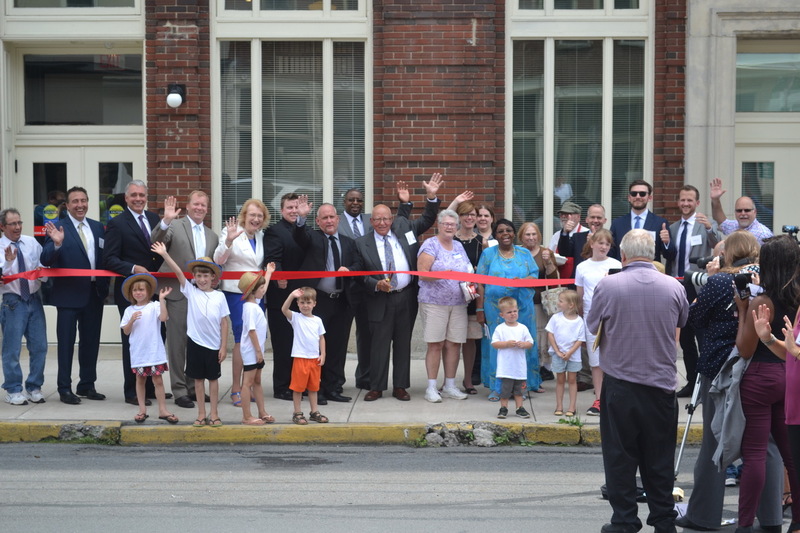 We were recently part of a very exciting ribbon cutting ceremony for the grand opening of the Lykens apartments! 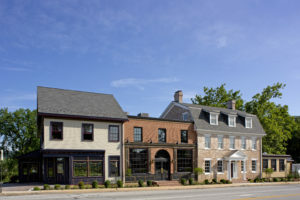 These 28-unit buildings (the old Lykens Hotel and Israel Building) are located across from one another on the 600 block of Main Street in Lykens, PA. These projects have been termed both “architectural and renovation marvels” and “the catalyst for further economic development” in their town. On Wednesday, July 12th we joined with elected officials, residents, developing partners and Home Leasing LLC to cut the ribbon on the apartment complex, announcing the official opening of this beautiful $11.1 million project. It now boasts a rental community complete with 17 one-bedroom units, six two-bedroom units and 5 studio apartments. It is always exciting when we can help to preserve the beauty of something old and make it new and useful for the town again. We hope to see continued development for Lykens in the future thanks to the commitment of Lykens Community Development Corporation and other individuals dedicated to preserving and improving their beautiful city. 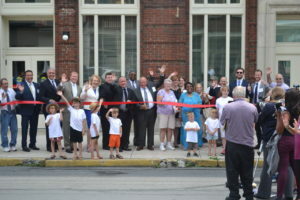 SAAarchitects celebrates the grand opening of the Lykens Apartments during a ribbon cutting ceremony. We are proud to announce that our Union House project in Lykens, PA has received final certification from Enterprise Green Communities! 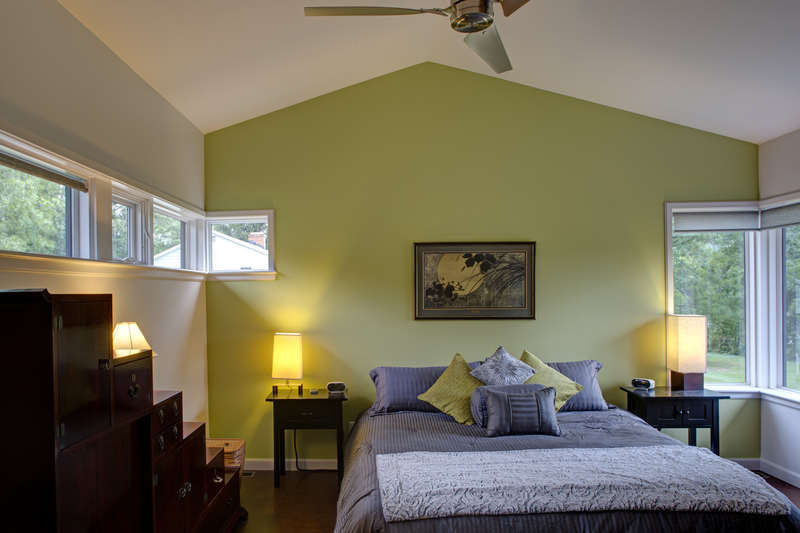 This certification demonstrates our commitment to providing high-performance, healthy homes. 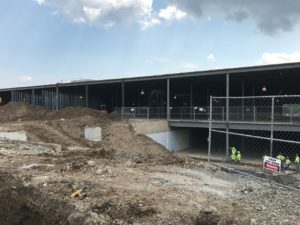 James Moriarty, Vice President of Sustainable Comfort, Inc. noted, “Congratulations on a successful project, this is certainly one of the hardest projects in terms of conflicting requirements we have been a part of. Appreciate all your hard work, and everybody on the team for making this a success.” The challenges mentioned stemmed from PHFA Funding and NPS Historic Tax Credits, but despite navigating these difficulties, our team was successful! Enterprise Green Communities has very stringent design requirements with regards to energy consumption, and we have worked to be a green-focused architectural firm from the start, so this is a very special honor! Our Union House project isn’t the only very green-focused project we have recently completed! In fact, we have another very exciting green-building announcement coming up next week–stay tuned! We’re excited to show more of the beautiful progress on our Lykens, PA Union House Apartments project: The Union House Hotel. These photos were taken on the Hotel side of the building. 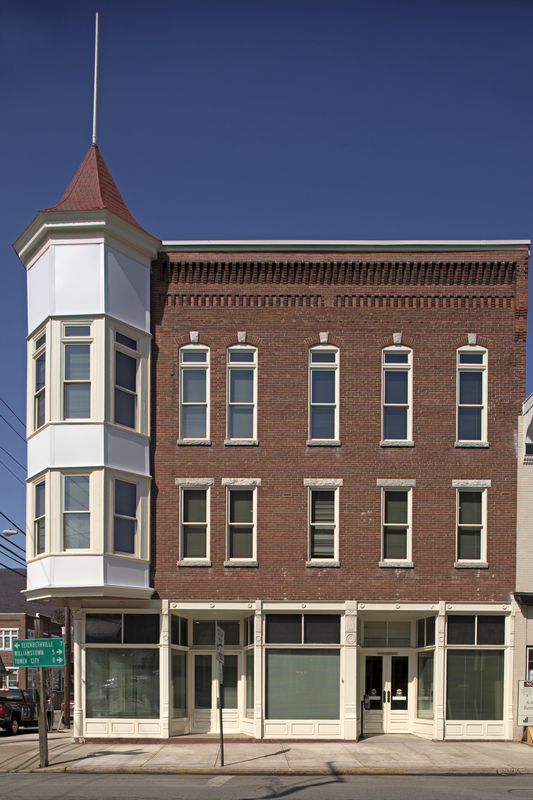 This $11 million adaptive-reuse project helped to restore the former Lykens Hotel building, which was built around 1902-1902. 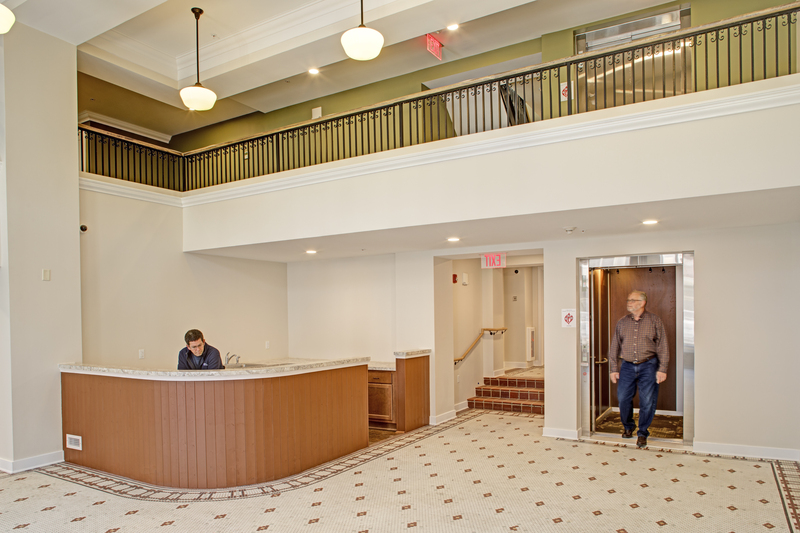 The hotel is housed in a 4-story Beaux Arts building that features a beautiful, bright lobby, large windows and open spaces. This restorative project was developed and funded through the Hockenbury System for community development. 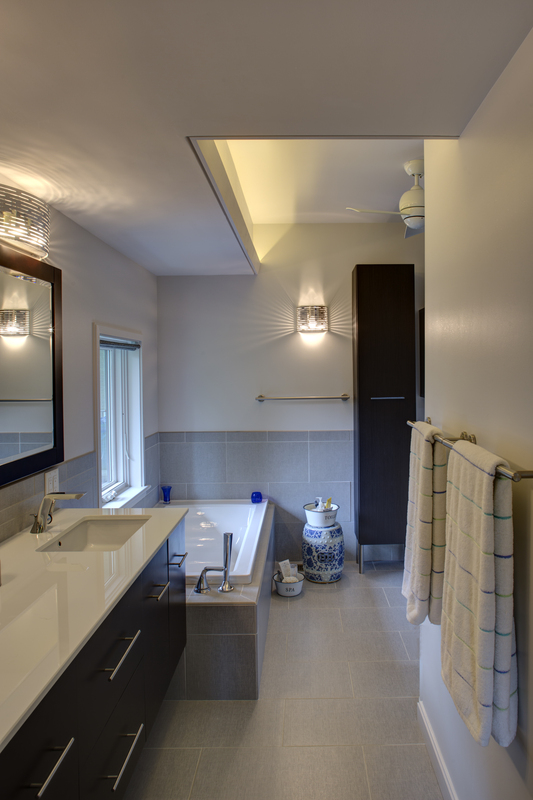 In working on this project, we partnered with Edgemere Developent. 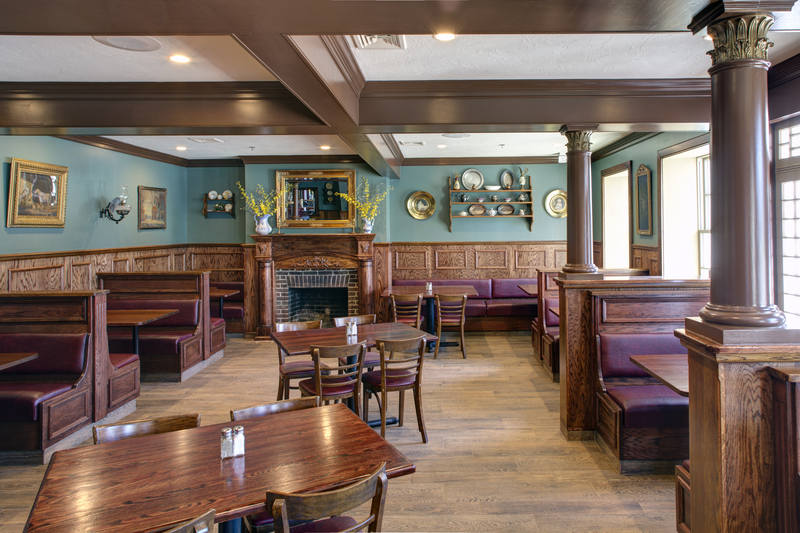 It was exciting to be part of such a historically-rich project and to have worked to preserve that history while planning this fresh, new look. 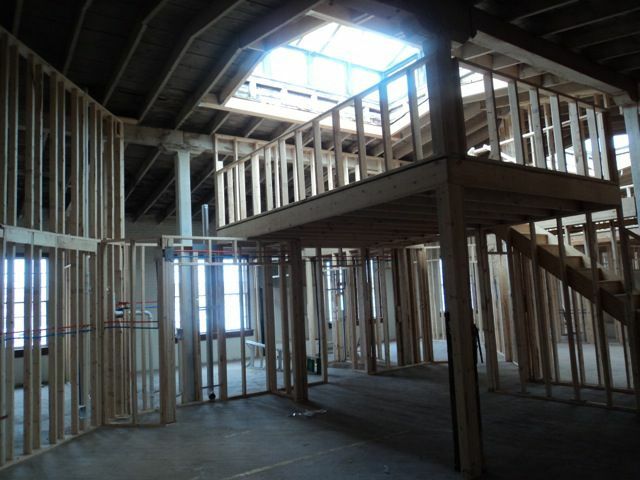 Take a look at the stunning progress that has been made in the Israel Building of our Union House Apartments Project! 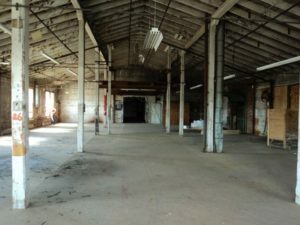 This is part of an $11 million adaptive-reuse job involving the restoration of two very historic buildings that each date back to the early 1900’s. The buildings are owned by Home Leasing. 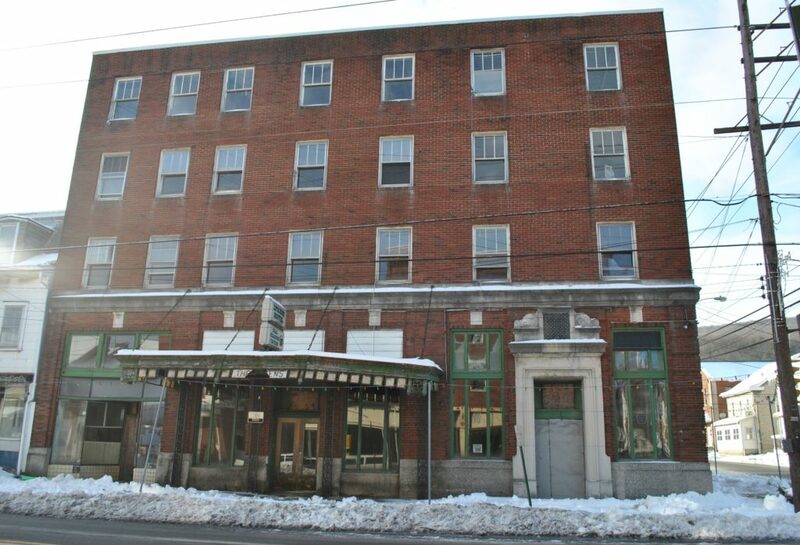 Their restoration will turn them into affordable housing units in Lykens, PA, which will offer tenants Federal Low Income Tax Credits as well as Historic Tax Credits. From the looks of it, things are off to an excellent start! 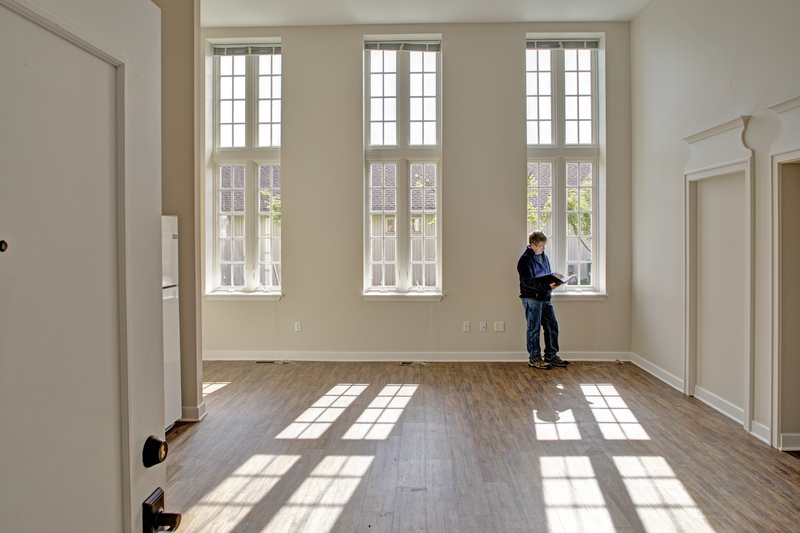 The gleaming wood, large windows, and beautiful natural lighting are all sure to please those who move in. We’ll be sure to keep you posted as this historical project is completed. The eco-friendly and one-of-a-kind interior of SAAarchitects’ Brook Hill Residence in York County was designed using state-of-the-art green building techniques. The residence features a spacious single floor, open-plan living layout to eliminate the formality of unused rooms. The cork flooring throughout the interior is a sustainable and recyclable material. 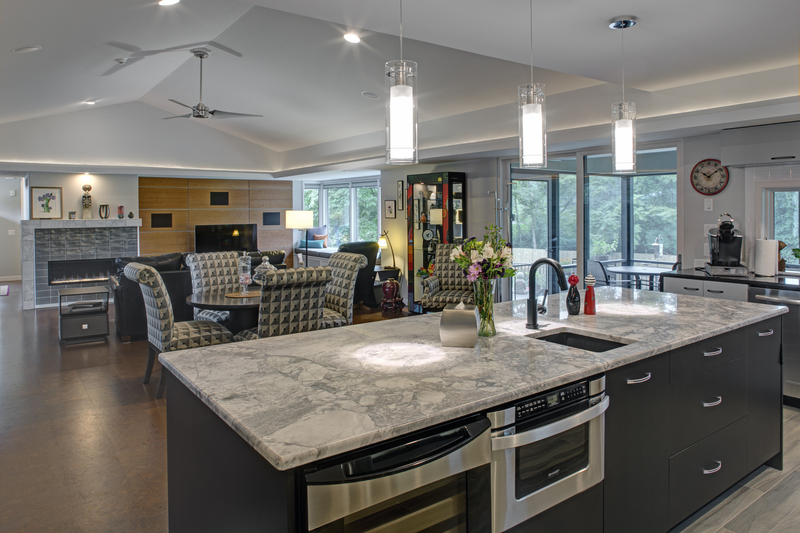 Geothermal heating and cooling maximizes energy efficiency with natural gas for supplemental radiant floor heating, creating additional comfort in the winter for the homeowners. A house-wide ERV system provides constant air exchange, pre-cooling warm air, and pre-heating cold air to provide ventilation and humidity control that eliminates the need for traditional items such as bathroom fans. Natural light and light infiltration is incorporated throughout the home through the use of suntunnels, skylights, and etched glass doors. At night, the light fixtures in the suntunnels provide energy efficient LED light. 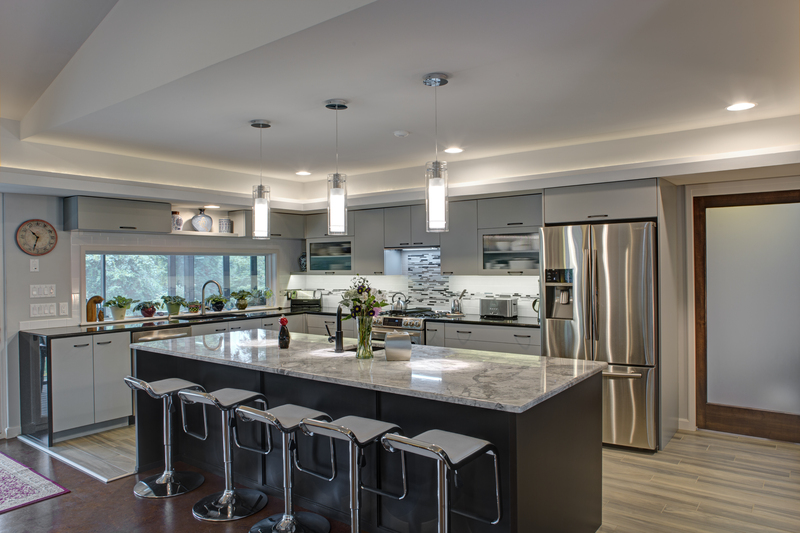 Speaking of LED lighting, absolutely no incandescent lighting is present in the home — only LED lighting. As a whole, this innovative home aids the homeowners to live an environmentally conscious and sustainable life. Additionally, the Brook Hill Residence is in the final stages of documentation to become a LEED for Home Certified Home, and will be the only LEED certified residence in York County! 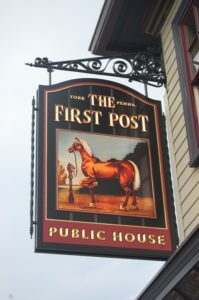 The First Post is now open for business in the heart of Springettsbury Township in York. 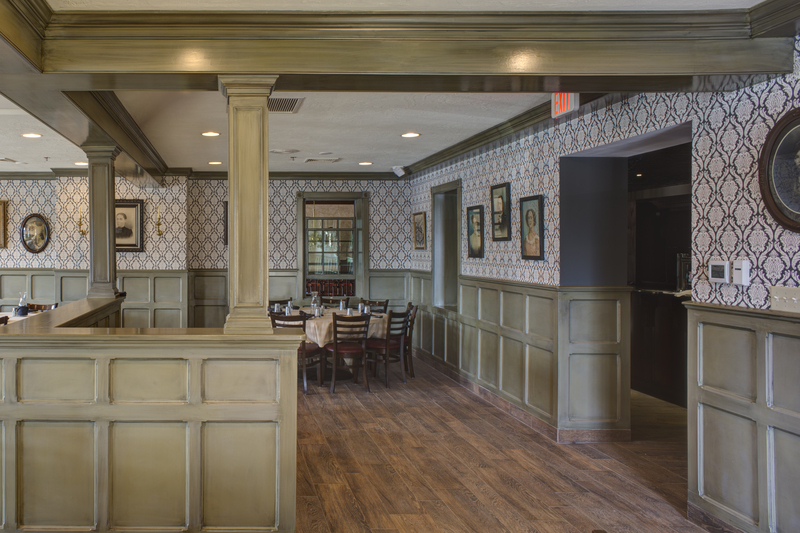 Housed in a historic building that dates back to the 1800’s, The First Post is serving American cuisine to coincide with the early 1900’s pub atmosphere felt throughout the restaurant. At full capacity, The First Post can seat up to 270 people in it’s 12,000 square feet. 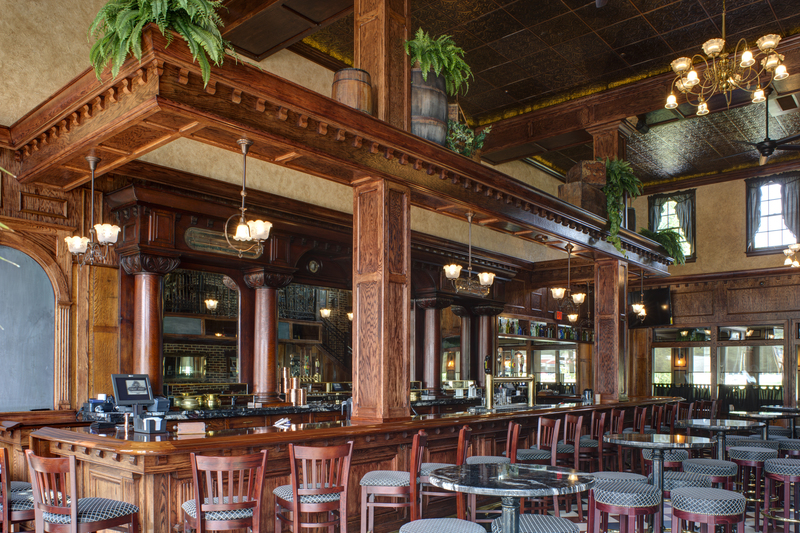 New renovations include decorative tin ceilings and custom wall panels made from repurposed church pews as well as portions of the back bar that come from a Pittsburgh tavern dating back to the 1800’s. Along with these new renovations, patrons can enjoy the preserved rooms from the original roadhouse. We are so excited to have been apart of the expansion and renovation of this historic project. Last night was the much anticipated grand opening of the newly renovated restaurant, The First Post, located in the heart of Springettsbury Township in York. As a historical landmark and an important part of local history, we were excited to have played an integral role in helping a local family bring this vision to life. As part of the renovation process, we designed the exterior to reflect the historic nature of a timeless village street scape, which was created by adding additions to the sides of the original structure. By designing each addition to feel like it’s own unique structure we were able to provide patrons and local residents with a beautiful setting that feels like it has always been here. Additional renovations included a wrap around porch that evokes memories of the days where people would gather in friendship and talk about local news. The rear of the building was expanded to open up the interior and allow more space for dining. 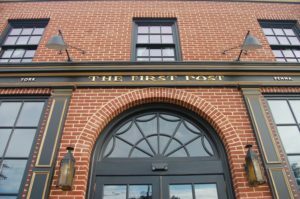 Dating back to the 1800’s, the name “The First Post” comes from adventurous travelers roaming down Lincoln Highway and stopping at this location to grab a hot meal or cold drink to help keep their spirits high and their energy up before entering York. We were delighted to help breathe new life into this important landmark. Keep a look out for additional posts and pictures centered around the interior renovations next week! For more information about the The First Post and to read their delicious menu, click here to read a piece done by The York Daily Record. 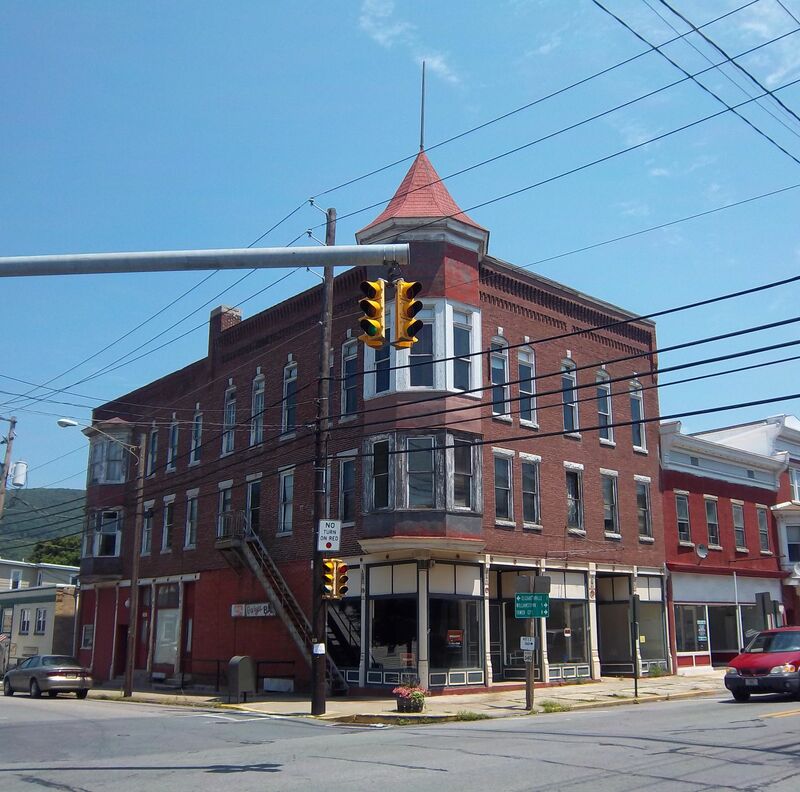 SAAarchitects embarks on a complete interior and exterior renovation of two significant historic buildings that will result in more housing options in Lykens, PA. The transformation of the Dauphin County buildings– the Israel Building and The Hotel Lykens– will become the Union House Apartments. 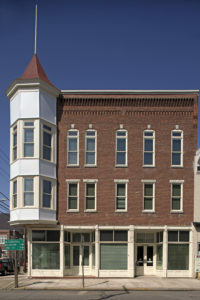 The Israel Building, named after the original builder in 1903, is a Late Victorian era commercial building that previously contained three levels of retail stores, offices, and a fraternal lodge meeting room. The Hotel Lykens was formerly a four-story hotel, constructed from 1902 to its completion in 1926. 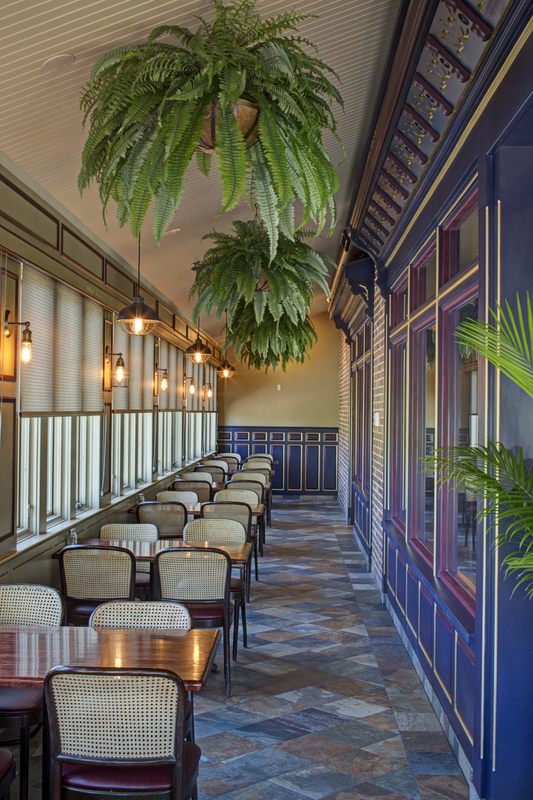 In addition to functioning as a hotel, the building also contained a formal dining room, café, retail space, and a bank. The building’s architecture represents a vernacular Beaux Arts style; expressing the academic neoclassical architectural style that originated in France in the late 18th century. Both buildings are among the few along Main & Market Street corridors to have survived the floods of Hurricane Agnes in 1972. 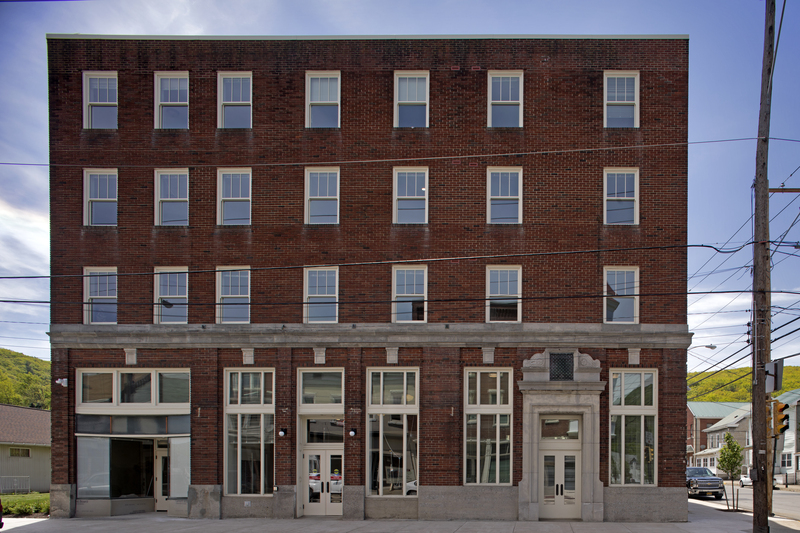 The integrity of these remarkable buildings will continue to stand strong as they are transformed with new purpose into studio, one, and two bedroom apartments– totaling at approximately 29 units between both buildings. SAAarchitects is in the early schematic design phase, which includes unit layout, unit mix review with the developer, detailed review of historic features with a historic preservation consultant and completion of applications for state funding. 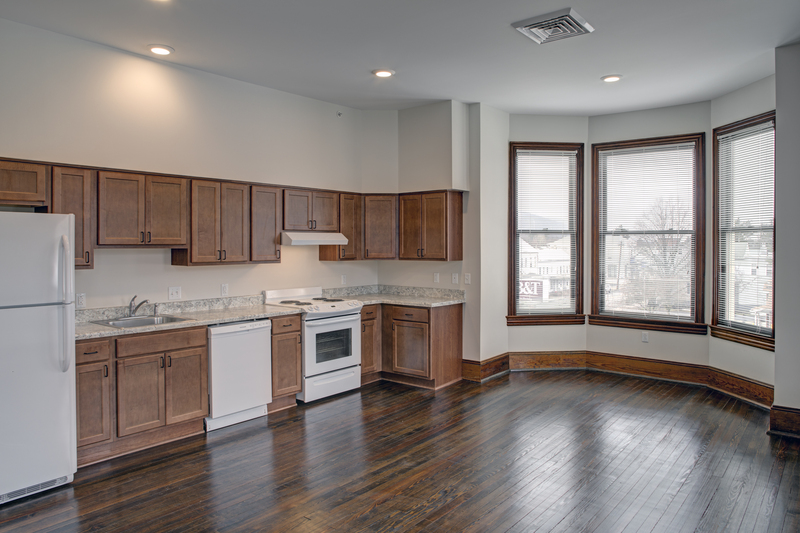 This renovation project, with early cost estimates in the $10M range, will use historic preservation tax credits and multiple funding sources including application to the Pennsylvania Housing Finance Agency (PHFA) and additional state funding. Stayed tuned for more information as this historic renovation project progresses. 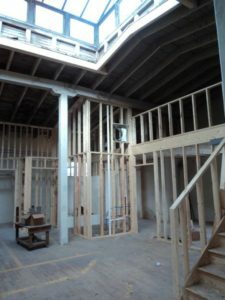 SAAarchitects embarks on Phase 2 of their three-phase restoration project to reenergize York County’s residential community. 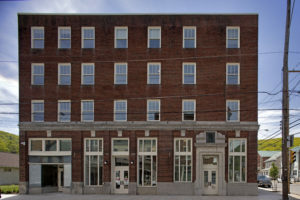 Linden Lofts’ Phase 1 offers 29 loft-style residences in the former Wagon and Gear Company building. 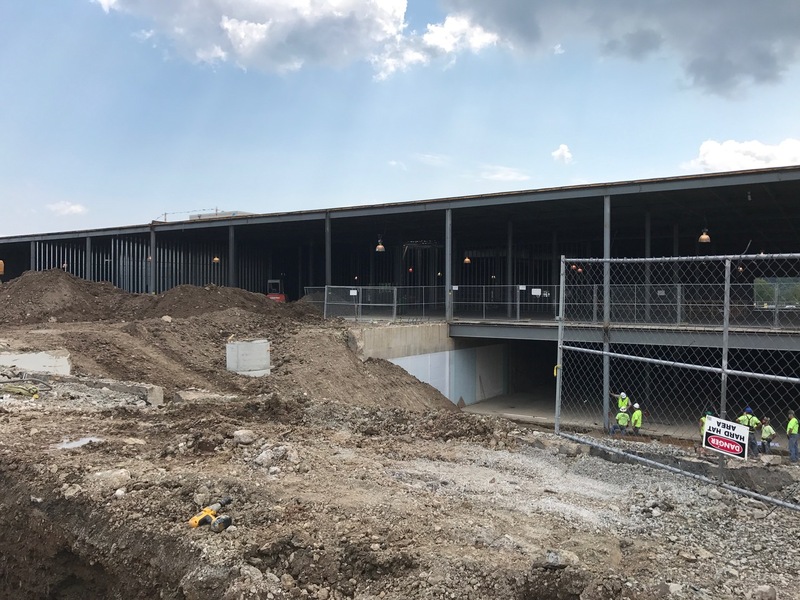 Construction is underway for Phase 2– an adaptive reuse of the former York Casket Company manufacturing facility, originally a carriage works manufacturing facility built in 1900. Phase 2 will transform over 40,000 square feet into 20 lofts/apartments and feature a parking garage and green outdoor common area. 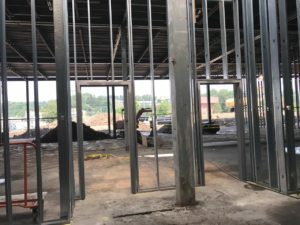 Along with the construction of Phase 2, Phase 3’s design has begun with a blank slate of over 53,000 square feet that will be utilized to create 24 lofts/apartments. Special features of this phase will include a covered picnic area, rooftop deck, antique machinery and community rooms on each level.